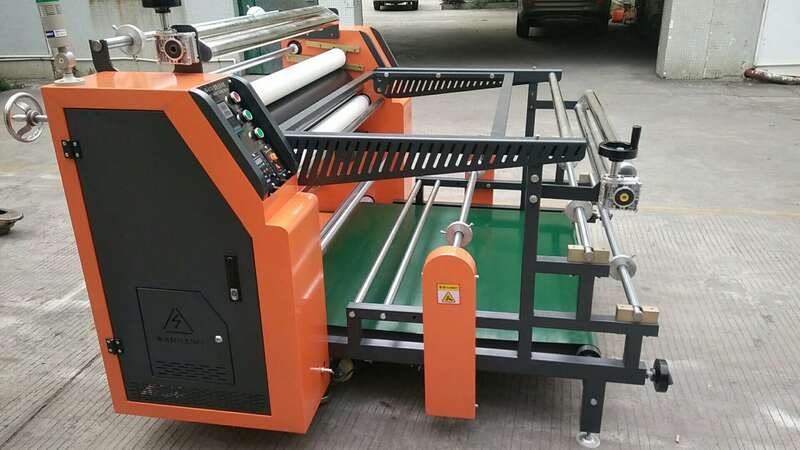 Home / Posts taggedOil Roller Heat Transfer Machine"
As a supplier of roller heat press machine, we find that there are some common problems in using this machine according to our customers’ feedback.Now we will list some of them, wish it can help you. ed for different applications. 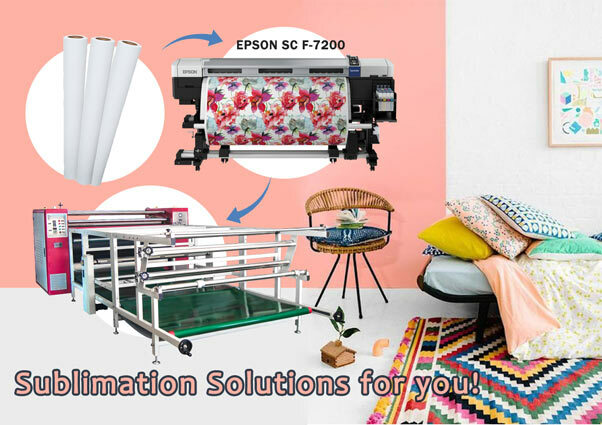 If you are not clear about the sublimation paper you want, you are easy to buy the wrong one. Always make sure to use the right tools for the job.If you intend to work on a particular t-shirt, check if you have the right heat press machine for the job, follow the right process, and most importantly- use the correct heat transfer paper. Some people can’t produce the best quality prints even they have the correct sublimation paper. This is because they print in an incorrect way. First, take note of all the sides of your paper and always remember to mirror your design before you transfer it to the paper. Next, you need to make sure that the entire design will appear on your transfer paper when you print it. But how to achieve them? It is easy, just make a test. After transferring the images to your sublimation paper, take a quick look at your heat transfer machine to ensure it’s ready for the task. Ensure there are no dust or particles that are likely to distract the transfer process. The paper must be positioned correctly. You can see that most of problems are not big, as long as you pay attention to the details, then it can be easily avoid. 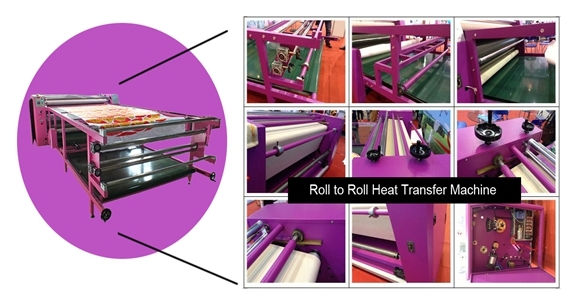 Roller heat press machine, the essential machine for sublimation printing, especially large format printing. For example, the large banners, banner, non-woven fabrics, clothing fabrics, towels, sheets, mouse pad and other goods. Machines all need maintenance, including the roller heat press machine. How to maintain it? Here are some tips. 1. Often check the roller heat press machine safety valve, bearings, transmission parts to make sure the action sensitive and reliable. 2. Each time before you start operating, remember the machine must be refueling according to the rules. 3. The roller heat press machine on the gas source processor,should close the gas 2 times a day; aerosol oil, adjusted to 4-5 drops per minute, and in the refueling to gas. 4. Joint head: drops of butter (a week / time, 10-20g), oil (1-2 drops, 3 days / times). 5. The emergency stop button should be used as less as possible when using the machine. If you often use this button, the chain, towline, belt will be broken easily. 6. Sometimes the optical axiswill drop oil twice a week. The best method to avoid this situation is using the good quality media. 7. When cleaning of the table glue, we should avoid table adhesive to the end of the wheel. If you find that the end of the wheel sticky plastic, dry wipe it, or it will influence the transfer printing result. 8. Cleaning the heat press machine shell at least once a week, and keep neat of the machine. 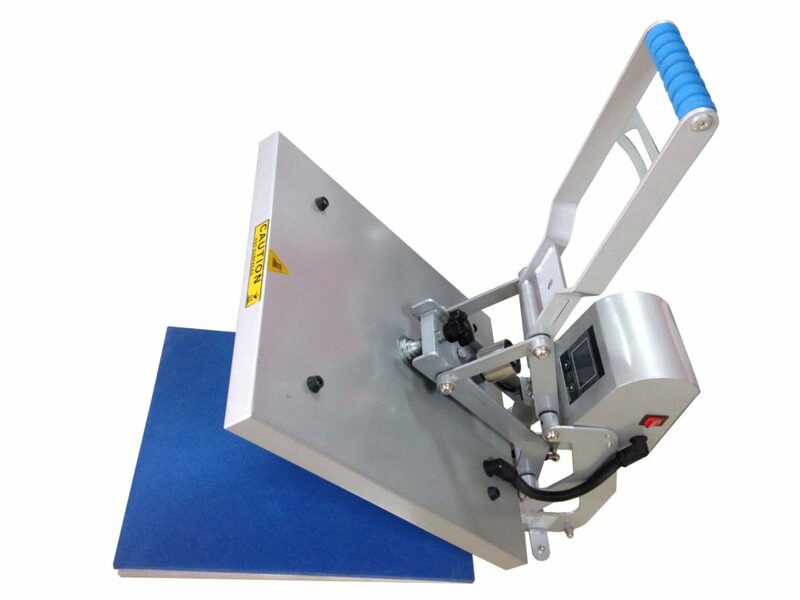 Only when you pay attention to the maintenance of the roller heat press machine, you can working with it comfortably. 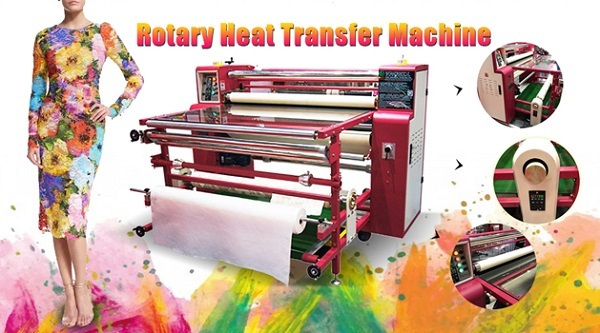 Flatbed Heat Press Machine & Rotary Heat Press Machine, Which One is Suitable for You? 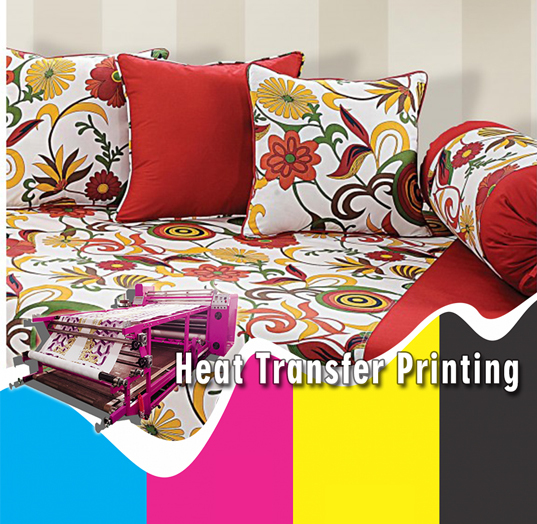 As the heat transfer printing becomes more and more popular, there are all kinds of heat press machine in the market. They have different brand, different size, different shape and different price. We usually divide these heat press machine into 2 types: flatbed heat press and roller heat press. Which one is more suitable for you? Here are some tips. Flatbed heat press machine is usually suitable for house-hold or someone who own a small workshop for DIY or personalized gifts making. We usually use it for t-shirts, bags, pillows and other small things. For roller heat press machine, it is usually used for industrial printing. 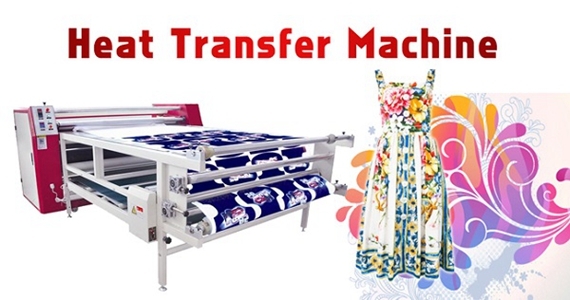 If the you want to print on large format fabrics like bed sheets, curtains or all over garment printing, roller heat press machine is a better choice. And if you own a big business, even you just print on small things, a roller heat press machine is also essential. You can print the same images on the transfer paper, and put the panel on the machine for transfer printing, it will be much quicker. It is obvious that flatbed heat press is much cheaper than the roller heat press machine. But roller heat press machine has a stronger productivity. Make a decision based on the long run planing. 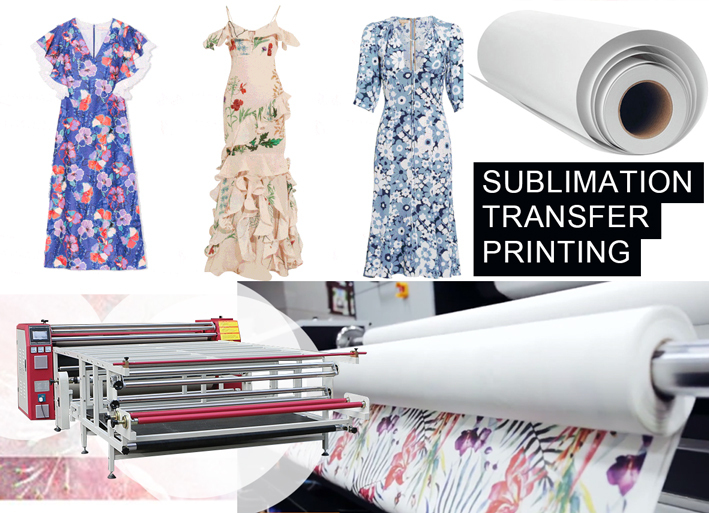 In the booming industry of thermal sublimation transfer printing, you must know the heat transfer printing machine in this process. 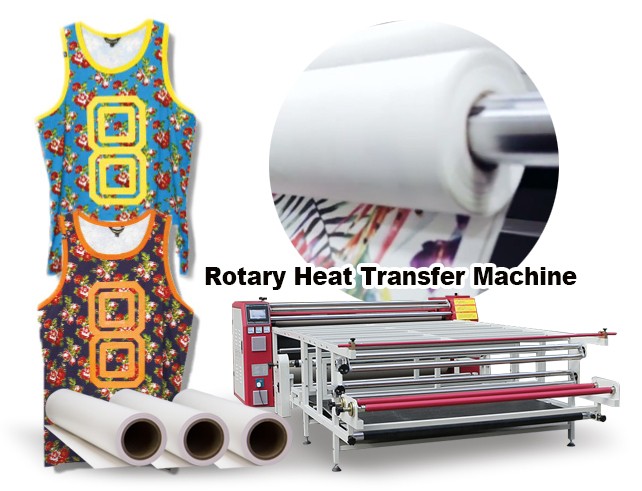 There are two main types of digital heat transfer printing : digital direct heat printing , digital rotary heat transfer printing . Do you know their differences? If you don’t learn about it clearly! 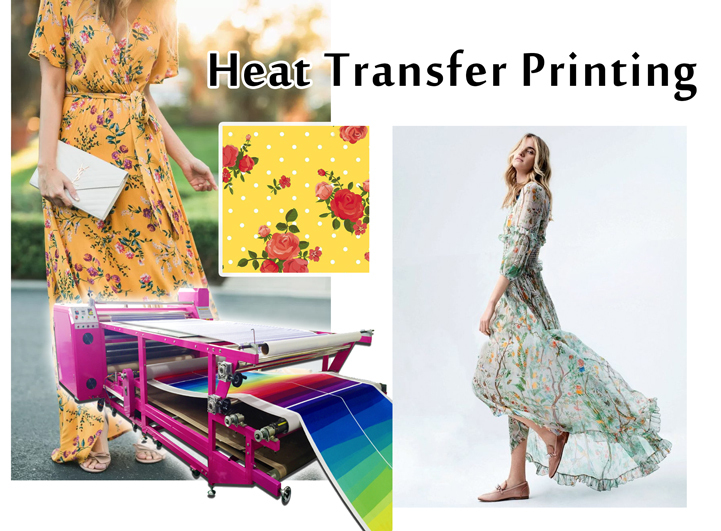 Read the following and I will share you the differences between digital direct printing and roller heat transfer printing. 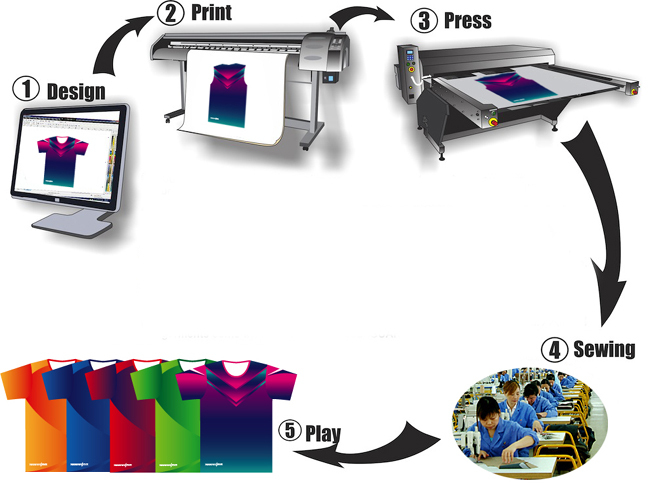 And you will kown the two types heat transfer printing machine’s differences! 1. Digital direct printing is to send the patterns need to be printed into the computer by high-resolution scanners, SLR cameras, or card digital cameras. Then print the patterns onto the fabric by digital printers with in-built control software to form the digital patterns, and solid color after printing. 2. Digital roller heat transfer printing, same as digital direct printing, is to send the patterns need to be printed into the computer by high-resolution scanners, SLR cameras, or card digital cameras, then form the patterns by in-built software. The difference is—-digital direct printing is to print the ink directly onto the materials. But digital transfer printing is more complicated: to printing the patterns onto the specified papers, dry ( or blow-dry by fan ), then get into transfer printing process by cover the papers on the materials needed to be print, heating and pressurizing, to vaporise the ink to the fabric, to finish the whole printing process, but no solid color necessary afterward. 3.Suited fabric for digital direct printing: in general, any light color ( include white ) is suitable, but some fabrics need pretreatment before printing, aging or washing after printing ( for example, 100% cotton reactive digital printing ), some only just need to be dry to solid color, but the feel is not so good. Okay, above of all, I believe that you have learned about the differences of oil drum heat press machine and direct heat press and known how to choose heat transfer printing machine for your business! If you have any other needs or questions welcome to contact us at any time. We will provide you the best quality product and service. Hope my article can be useful to you. Thank you for your reading. 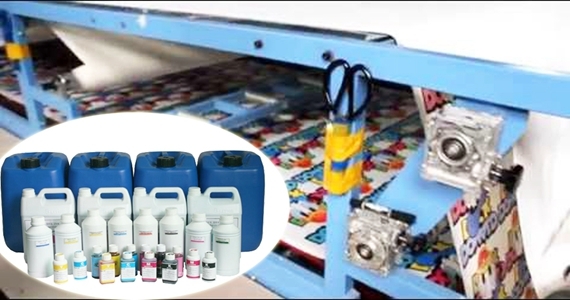 What is blanket of Roll To Roll Transfer Printing Machine? How to Choose Suitable Calender Heat Press Machine? 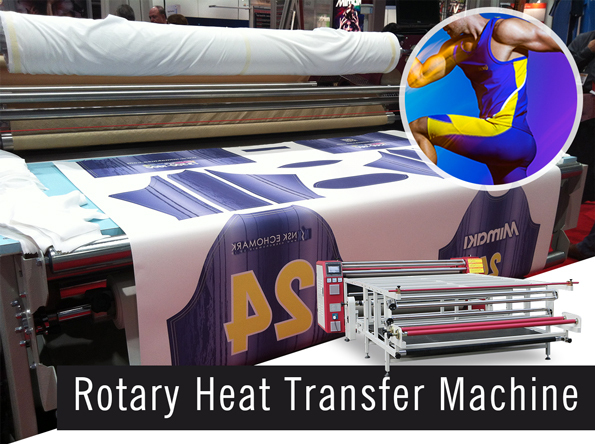 How Does Roller Heat Transfer Machine Work on Sublimation Paper? FeiYue Digital Technology Inc has been developing Heat Transfer Machine for 13 years. Now we are one of the most innovative companies in this industry and we offer complete solutions for transfer on all kinds of different materials.